Earlier this year, we had a light taste of the new battle royale game from publisher Focus Home Interactive and S.T.A.L.K.E.R. developer, Vostok Games. 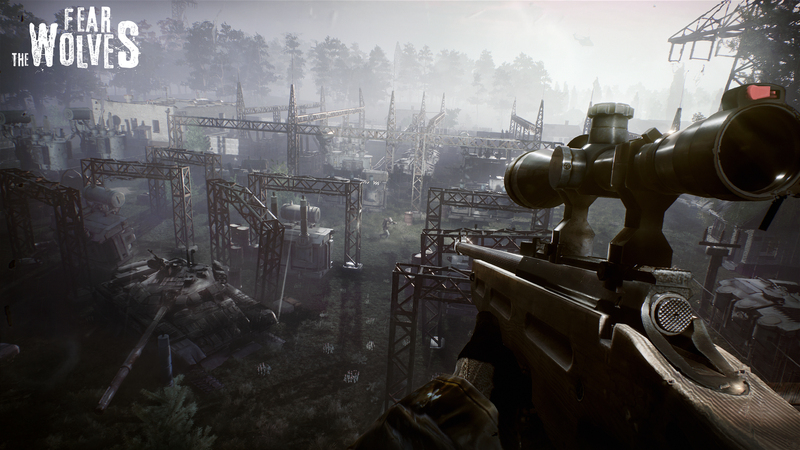 Now, the two companies have just given us the first screenshots and more information on Fear the Wolves, a game that takes place in the irradiated lands of Chernobyl. The game starts as a typical battle royale, as it drops players whether solo or in squads in an oppressive environment where 100 players fight to the death. But according to them, this will be the only same thing Fear the Wolves will have in common with the other battle royale games out in the market. In order for players to secure the top spot, they will need to worry about more things besides the other surviving players. Across the wastes, everyone is equally threatened by the looming dangerous anomalies and the dynamically-changing weather. A day-and-night system is also implemented in the game, which will force players to constantly adapt to the environment. Numerous protective gear allows players to explore off-limit, irradiated zones that will be inaccessible to other players that doesn’t have any of these gears. These zones will contain powerful loot in order to give the players who are willing to take a risk a higher chance of survival. This happens while players hear the incessant howling of mutated creatures that might pounce upon them at any given time. These new screenshots showcase some of the locales players will visit while scavenging for weapons and hunting other players, including factories, power plants, small towns, and villages. There is also an exclusive first look at the game’s mutant wolves – fearsome creatures that stalk the perimeters of radioactive zones, attacking players in packs and proving formidable foes for anyone not adequately armed. Also different from the other battle royale games is how the map encloses on itself. Every game is made unique by the unpredictable spread of radiation, with varying levels of toxicity. Players will need to ascertain whether it’s safe to remain in an area if they are properly equipped for it, or if they should move to a much better spot in the map. Vostok and Focus Home are also promising another mode that brings more exciting twists to the popular genre. Fear the Wolves will be coming soon on the PlayStation 4 and other gaming platforms.